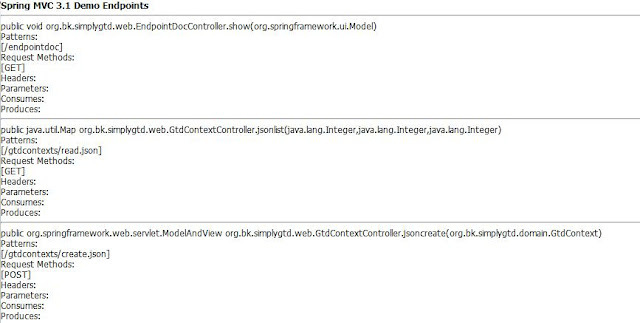 I saw a demo on new Spring MVC 3.1 features by Rossen Stoyanchev a while back and found one particular demo item incredibly useful. The demonstration was for an Endpoint Controller - a page to display all the uri's supported by the application, their corresponding handler methods and related patterns(method, params etc). use this java based config.